Football season might be in full swing for the Washington Redskins—but this month, players took a break to swing at golf balls for a night. 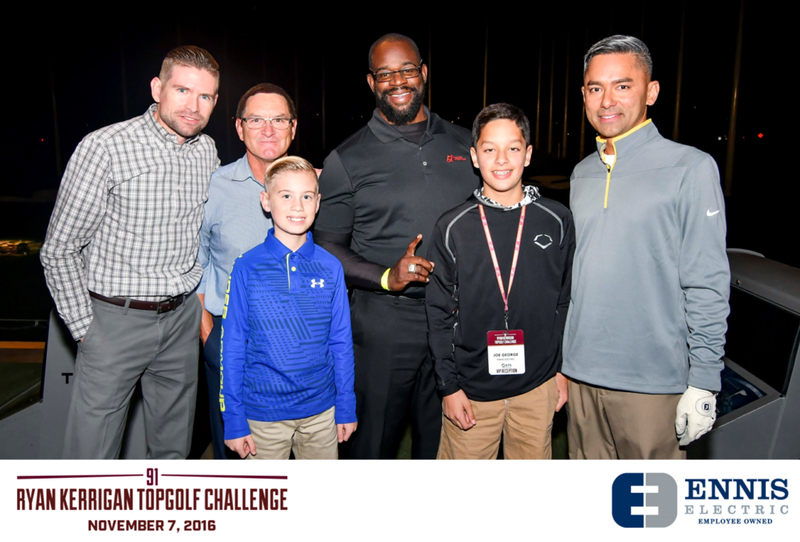 On November 7, the Ennis Electric team joined Redskins’ linebacker Ryan Kerrigan and several of his teammates, (current and former), during Ryan Kerrigan’s Topgolf Challenge. All proceeds from the Washington Redskins Charitable Foundation (WRCF) event benefit Ryan Kerrigan’s Blitz for the Better Foundation. The foundation strives to provide opportunities, support and resources to children and families in need in the DC area. The organization focuses on working with seriously ill, special needs and physically challenged children. Ennis Electric sponsored the event, in addition to participating to help raise money for the cause. Proceeds from this year’s event will be used for initiatives like Kerrigan’s Korners is local hospitals. These areas provide patients and their families access to electronics—games, movies and more—while they undergo treatment and fight toward recovery. This year, Kerrigan reached his 50th career sack. He was also named the Washington Redskins’ 2015 Walter Payton Man of the Year. While it takes talent and dedication to play well on the field, we believe what you do off the field can be more important. Jane Rodgers, executive director of WRCF, has referred to Kerrigan’s ability to make a difference and impact as truly powerful. * We agree. We’re rooting for Kerrigan on football Sundays (Hail), but more importantly, we’re proud to have supported someone whose cause is such an important one. We appreciate everyone who joined us at the event. We’re thankful that men like Kerrigan turn their attention to the community and dedicate themselves to helping those who truly need it.